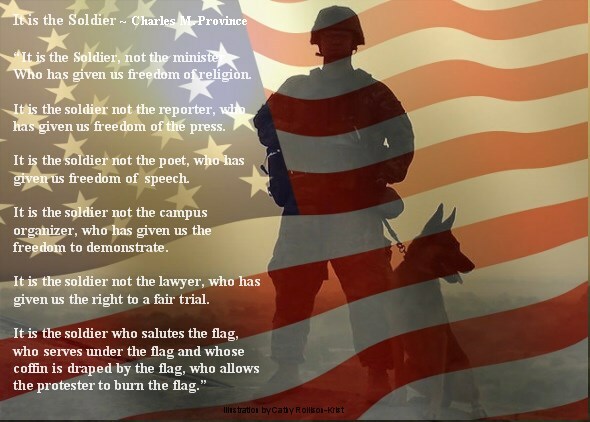 Thank you to all our military men, women, veterans & military working dogs for your sacrifice & service. It is the soldier not the reporter, who has given us freedom of the press. It is the soldier not the poet, who has given us freedom of speech. It is the soldier not the campus organizer, who has given us the freedom to demonstrate. It is the soldier not the lawyer, who has given us the right to a fair trial.